Historically, health care in the United States focused on managing disease and illness. Today 75% of all health care costs are spent on preventable diseases including obesity and diabetes. Furthermore, obesity and diabetes contribute to the number one killer of men and women: Heart Disease. Because there is not a lot of time during regular physicals and appointments to focus on health and wellness behaviors, health coaching has evolved as one way to assist with changing health behaviors. Is the missing link in our current health system. Is a new paradigm of care that defines success by not as more procedures and tests, but better client/consumer engagement in their own health. 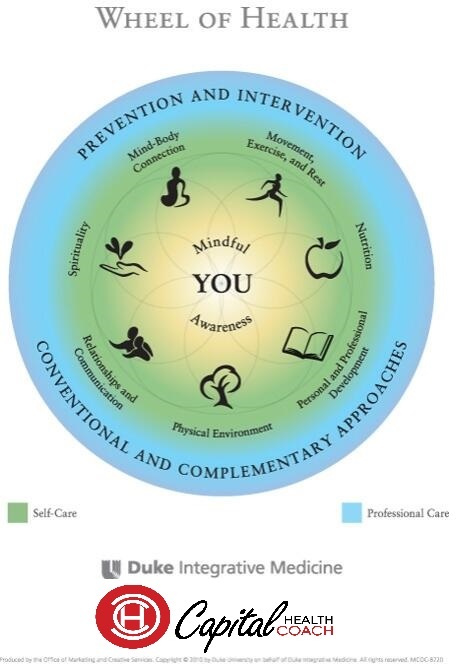 Empowers clients to make lasting behavior changes that are the cornerstones of life-long well-being. Bridges the gap between health recommendations and a client's ability to implement those changes into their complex life. Capital Health Coach ECN is one way to invest in your health on-demand. Visit Coaching Focus Areas to learn more about our expertise.